Have you ever been interested in find out more about the monster from Doctor Who and/or the Doctor’s friends? Well, you have this chance because soon you will be able to order on the Amazon theÂ Doctor Who Character Encyclopedia by Jason Loborik. I hope you’ll enjoy as it deserve because it contains information about the characters from all the seasons (old and new). Celebrate the Doctor’s 50th anniversary with over 200 characters – past and present. Step into the TARDIS, watch out for the odd Daleks and allow yourself to be swept away into the weird and wonderful world of the good “Doctor Who”. 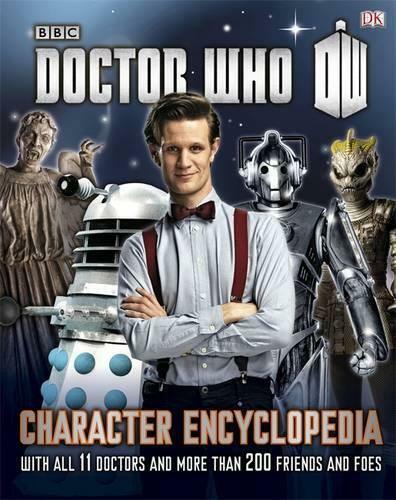 “Doctor Who Character Encyclopedia” covers every single Doctor and each of his resourceful assistants from the past 50 years, as well as unforgettable baddies like the Daleks, the Cybermen and the Master. Every single regeneration of the Doctor can be found in “Doctor Who Character Encyclopedia”, where each of the 200 characters has a full profile, including the very strangest of aliens from the classic series. Data files provide fascinating stats on every character included in the book, from the faithful K-9 to Amy Pond. If you consider yourself a Time Lord in the making, “Doctor Who Character Encyclopedia” a must-have. Perfect for “Doctor Who” fans of all ages, and for those times when you’re too scared to watch!